When you stay with us, we love it when you dine with us to. With three on-site restaurants, you can rest assured that your palate will always be satisfied. As an all inclusive guest, you can expect a full breakfast buffet, and a family style dinner with non-alcoholic beverages included. Beer, wine and liquor are available for an additional charge. The updates being made to Springdale at Cold Mountain maintain the property’s extensive history, but add a modern touch. 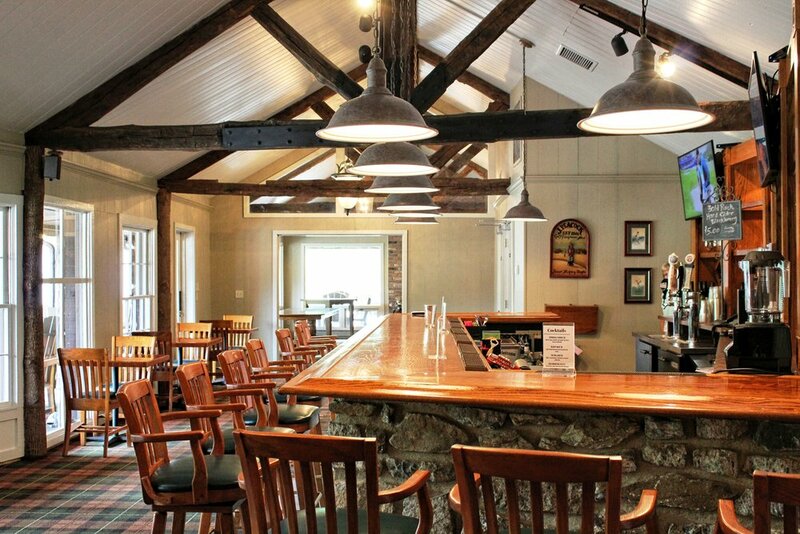 The Rocky Face Tavern sports the feel of a mountain cabin with the beamed ceiling, massive fireplaces, and picture windows overlooking the golf course and mountains beyond. The gorgeous bar continues this mountain vibe with its own share of wood and stone. Whether you’re looking for some relaxing after hours beverage sipping on the terrace, or a dim lit romantic hideaway next to a fireplace, you’ll find both at The Rocky Face Tavern. 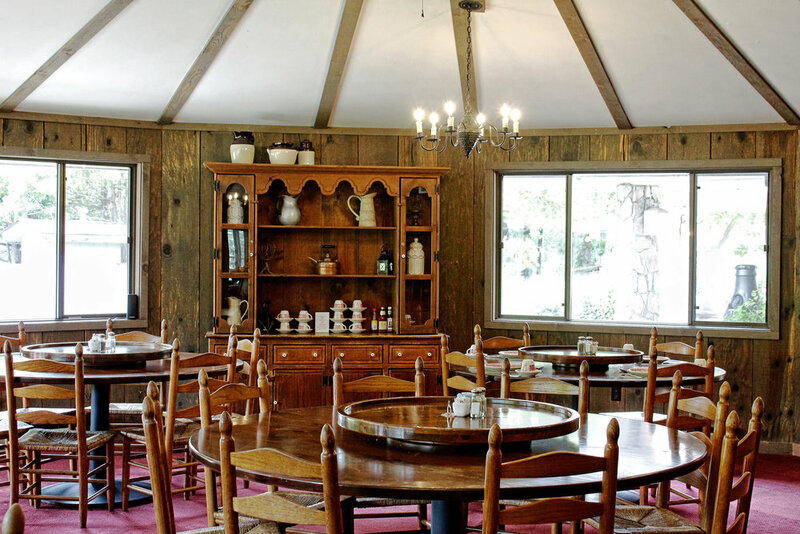 Cold Mountain Restaurant: *October 1, 2018 - Closed for the Season. The restaurant offers an extensive breakfast buffet from 6:30 a.m. to 9:00 a.m. and family style dinners that include desserts starting at 6:00 p.m.
Hole-N-the Wall: Enjoy delicious snacks, sandwiches, beverages and daily specials on the terrace from 10:00 a.m. to 4:00 p.m. daily. Rocky Face Tavern: The tavern offers cocktails, wine or beer while watching your favorite sports team on TV, or you can take your party outside to the bar terrace to enjoy the spectacular golf course and mountain vistas. A delectable assortment of bar food is available including Steak and Cheese Sliders, Bruschetta, Spinach and Artichoke Dip or Nachos all the Way. There’s something for everyone!! Open Thursday - Saturday, 5:00 p.m. to 9:30 p.m. and Sundays, 11:30 a.m. to 5:00 p.m.